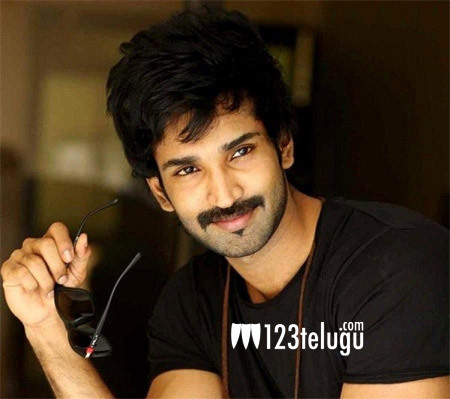 Aadhi Pinisetty is one actor who is on every director’s wishlist. The tall, dark and handsome hero mesmerized everyone with his performances in films like Sarrainodu and Ninnu Kori. He has at least half a dozen films lined up in his kitty and we at 123telugu met Aadi for an exclusive interview. Here is the transcript. Firstly, what kind of response did you get for Ninnu Kori? The moment I heard the script, I was very sure that the film will work big time. I also did the film because there was a huge message for the younger generation which was superbly handled by the director. After Sarrainodu, people hated me for my role but with Ninnu Kori, a lot of ladies became my fans and the response was overwhelming. Tell us about PSPK25 film? I am very excited about the film as I have a very intense role who believes in his own ideology. He is not completely negative but does things what he thinks is right. The way Trivikram sir has written this role will be yet another feather in my cap and who can forget all the scenes with Pawan Kalyan which will be a rage post the film’s release. Pawan Kalyan is a man who has no airs at all. He is all to himself and is very down to earth. He never shows the aura or hype that has been created by his name. I feel that everyone should follow the way he leads a simple life and I had a dream working with him on this film. What is your criteria while signing films? The fact is that I have no criteria while signing films. I am here to work and do all kinds of roles. I also feel that accepting all kinds of roles has brought till here and some of the top banners have approached me because I can pull off any role easily and connect to the normal audience. This is what an actor looks for and I am very happy with the way my career is shaping up. Don’t you think you will get typecast if you do more negative roles? Tycast is a very old terminology. Things have changed drastically in the last few years. A film like Arjun Reddy would not have worked if it had released five years back. If your role is good and you are showcased in an effective manner, one can pull any role with ease. This is the exact reason also I opted for Ninnu Kori post Sarrainodu and everyone accepted it with open arms. How are you balancing both Telugu and Tamil? I am not in a hurry to prove a point and am mostly looking at bilinguals off late. This trend will catch on even more in the future and I will do films which will cater to all sorts of audience. My aim in life is that my roles in films should not match with each other. I also have a splendid role in Ram Charan’s Rangsthalam. The way Sukumar is executing the film is to another level. The period drama will showcase me in another angle and my chemistry with Charan will be one of the highlights. Father’s involvement in your career? I would be a fool if I do not take the help of my dad Raviraja Pinisetty. He has vast experience in films and suggests me good projects all the time. But at the end of the day, it is me who selects and finalizes my projects. Why do you always maintain a low profile? I am a very shy person who likes to mind my own business. I don’t socialize much and have my own set of friends. I am very close to Charan, Nani and grew up with Manoj and share a superb relationship with him. Finally, when are getting hitched? Very soon. The search for the girl is on and I myself will share the good news. With that, we concluded our interview with Aadhi Pinisetty and wished him the best of luck for his future projects.